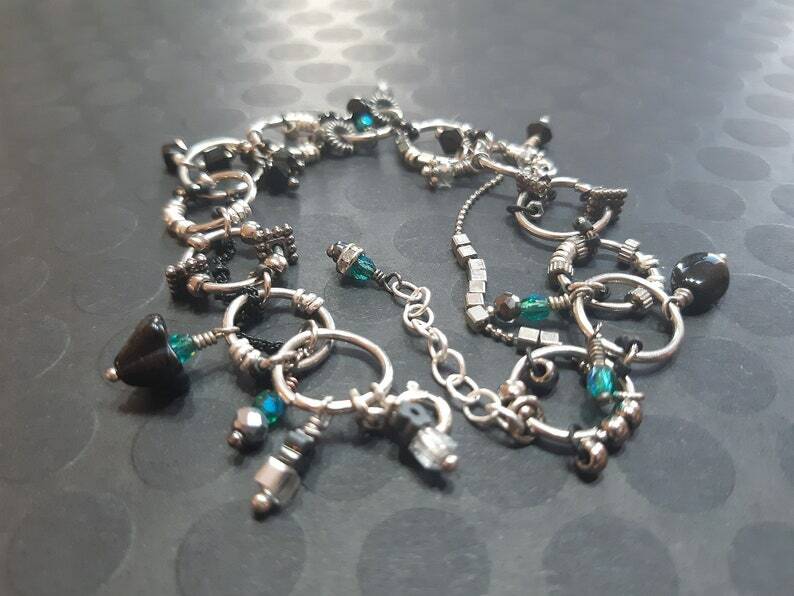 Typical of my style, this chunky large, silver-tone-linked bracelet is filled with mixed metal surprises! It's minimalist and detailed at the same time. A GREAT VERSATILE IDEA!!! You can add an addition add-on chain so that you can turn this bracelet into a chic, unique, chunky NECKLACE!! (see photos #6, #7 #8). Just choose if you want a chain and what length before you "ADD TO CART." Look around and you'll see lots of turquoise colored elements, silver-toned and black adornments. ≜ Love it and want to buy later? Click the heart ♥ and favorite it.